is like a small Yellowhammer, 15-16.5 cm in length (wing-span 22-22.5 cm) with a thick seed-eater's bill. The male has a bright yellow head, with a black crown, eyestripe and throat, and a greenish breast band across its otherwise yellow underparts, and a heavily streaked brown back. 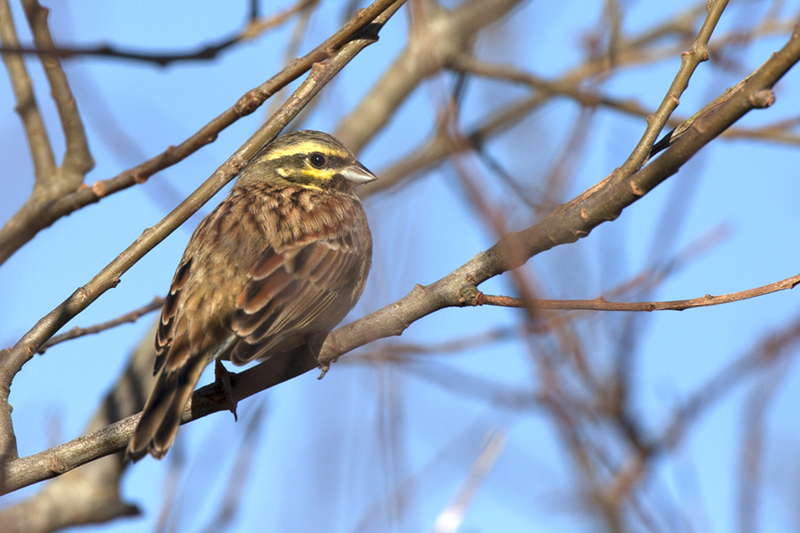 The female is much more like the Yellowhammer, but has a streaked grey-brown rump and chestnut shoulders.